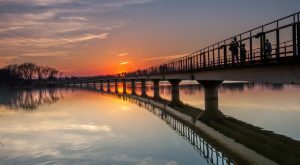 If you’re ever feeling a little burnout from your busy Midwestern life, take a weekend to tackle these simple Iowa trails that show off some incredible views along the way. 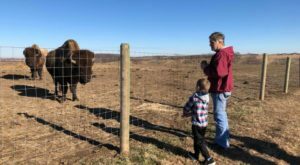 You’ll get to take in miles of Iowa’s best natural and historic treasures as you are reminded just why you love to live in the Hawkeye State. 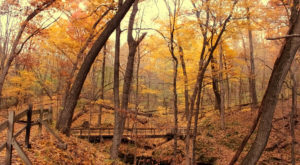 The Wildcat Den trail is one of the best trails in the entire state, and it combines history and geology to create a truly unique landscape. Not only will you see the Devil's Punchbowl and Fat Man's Squeeze, but you'll walk past historic buildings and fixtures. The Pine Creek Grist Mill dates back to the 1840s and is one of the oldest mills still standing in the entire country. 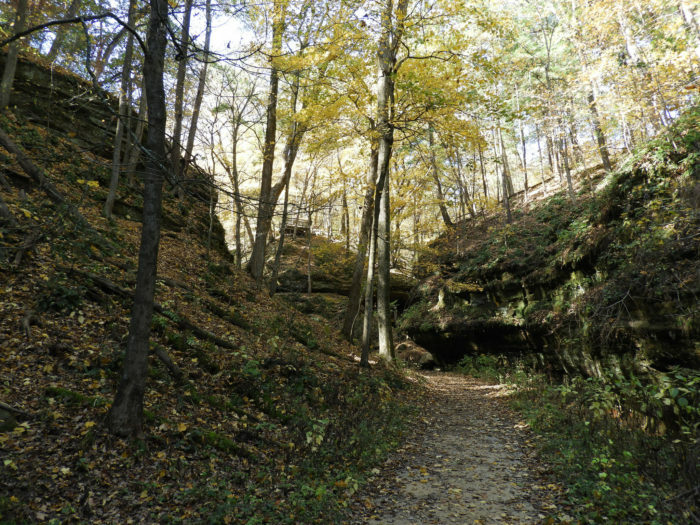 You can hike Ledges State Park just by covering four miles of trail. Try the Crow's Nest Loop or Inspiration Point to see the best views from the sandstone gorges that formed the park. 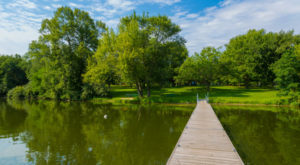 The view from the lake will make you feel like you're at a mountain retreat. 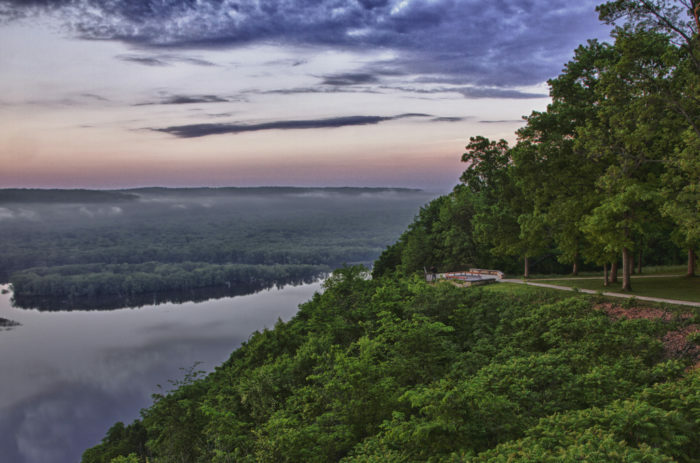 The view from Eagle Rock Trail at Effigy Mounds National Monument is one of the best views of the Mississippi Valley you can find in America. 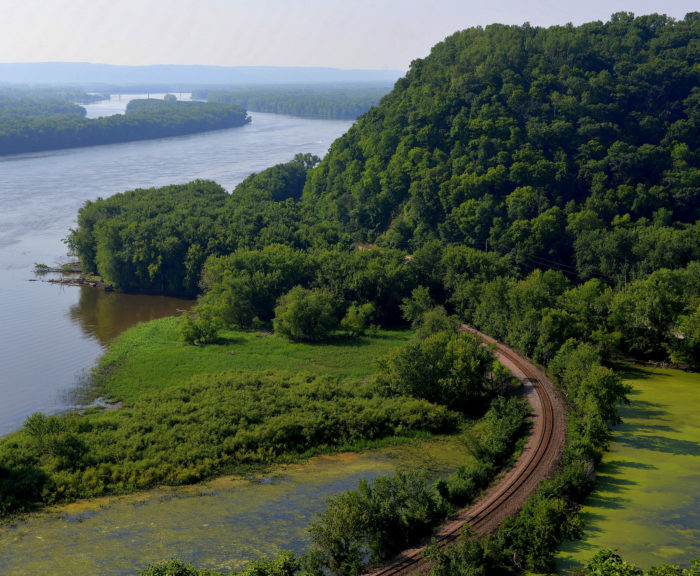 The Eagle Rock trail is 7 miles round trip, but you'll be so fascinated by the views, outcroppings, and Effigy Mounds that you'll hardly notice the time passing. Learn more about this incredible historic park here. 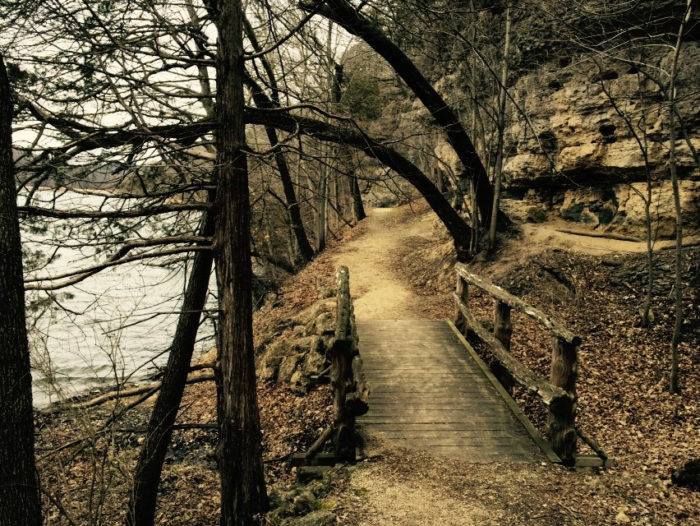 There are over 20 miles of trails to explore in Iowa's oldest state park, but any hiker can conquer the Backbone Trail, and it's so worth it. 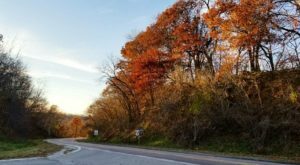 Though it's less than a mile long, the trail takes you to one of the tallest spots in Iowa, and the views are breathtaking. 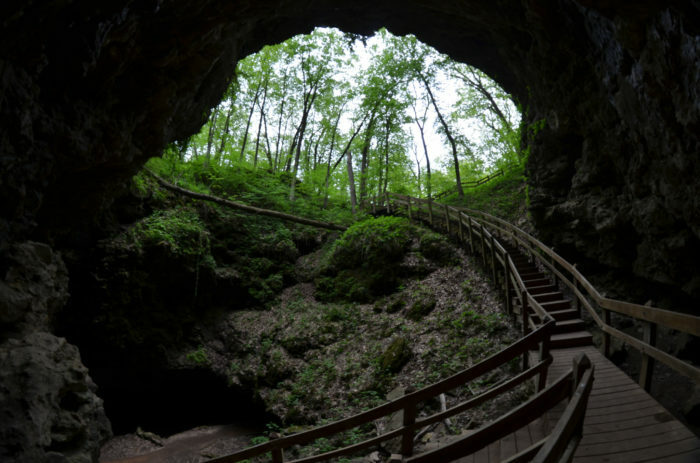 Anyone will be able to enjoy the stunning caves in this Iowa State Park - it truly is one of the best places on earth! The surreal landscape and access to caves is something you can't find anywhere else. Be sure to walk through the Natural Bridge cave - it's 50' tall! 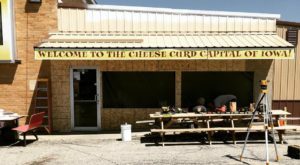 You'll quickly realize why this is The One Place In Iowa That Looks Like Something From Middle Earth. 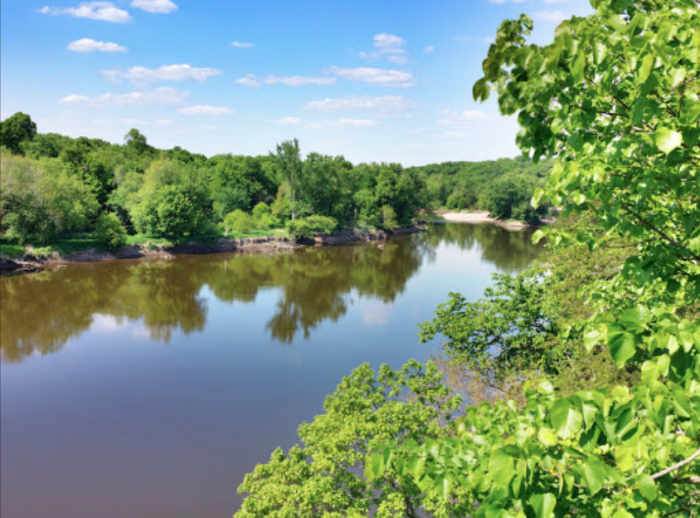 One of the most beautiful overlooks in all of Iowa is just a 50' walk from the parking lot to the edge of a 500' cliff, where you can look down to the mighty Mississippi. You can also hike up to the park's overlooks via scenic trails from any of the lower trailheads. 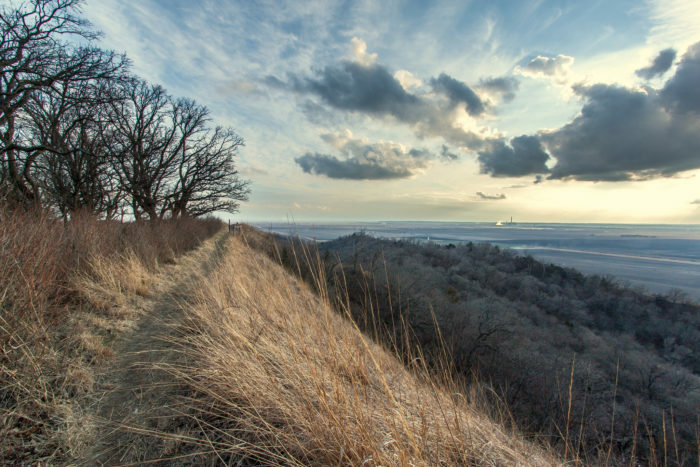 Waubonsie State Park has miles of trails that show off the best views in the Loess Hills region of Western Iowa, but the Sunset Ridge Trail is the one that you can't miss. It's a loop trail that's less than two miles long, and the ridge takes you to some of the most stunning overlooks you'll ever find. 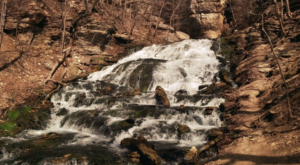 The Cedar Cliff Trail at Palisades-Kepler State Park will take you around the stunning Cedar River and show off breathtaking views from up high. 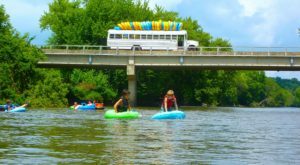 This underrated state park is one of the prettiest in Iowa, and it's certainly worth a trip to explore its cliffs, overlooks, and wild river. 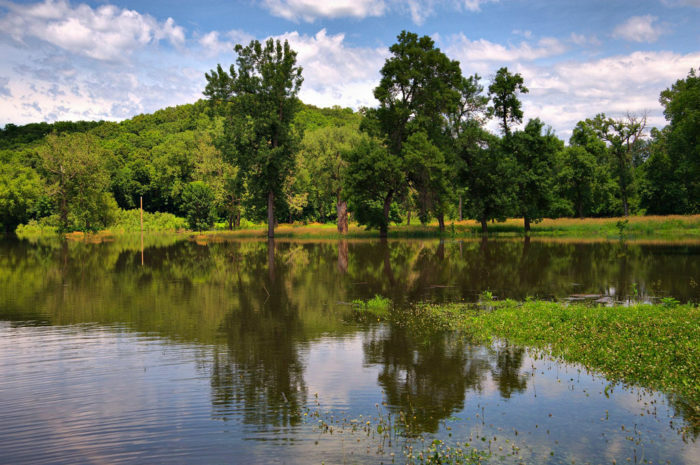 Have you hiked any of these stunning parks and trails? Share your best trail photos in the comments below, or in our Iowa Nature Lovers Facebook Group.